Big data: can’t live with it, can’t do anything without it. 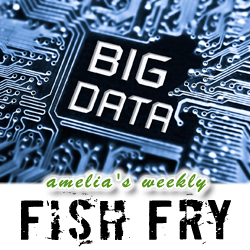 In this week’s Fish Fry, we look at the growing challenges and opportunities of big data in EDA. My guest is Michael Munsey (Dassault Systemes) and we discuss the future of big data and analytics in EDA, where the biggest big data pain points can be found (and how design tools can help), and why there are so many musicians in electronic engineering. Also this week, we celebrate a kickstarter campaign that brings monthly subscription box services to a whole new “maker” level.